Robert Lanza, M.D. is currently Head of Astellas Global Regenerative Medicine, and is Chief Scientific Officer of the Astellas Institute for Regenerative Medicine and Adjunct Professor at Wake Forest University School of Medicine. His current research focuses on stem cells and regenerative medicine and their potential to provide therapies for some of the world's most deadly and debilitating conditions. In his papers on relativity, Einstein showed that time was relative to the observer. This new paper takes this one step further, arguing that the observer creates it. 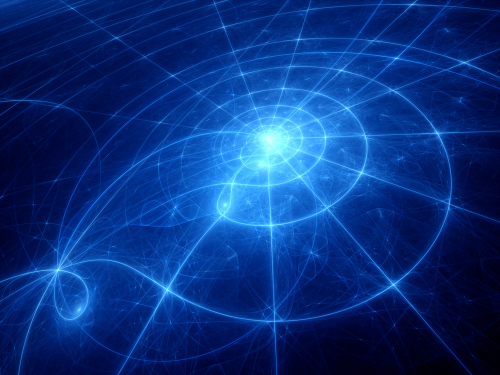 The paper shows that the intrinsic properties of quantum gravity and matter alone cannot explain the tremendous effectiveness of the emergence of time and the lack of quantum entanglement in our everyday world. Instead, it's necessary to include the properties of the observer, and in particular, the way we process and remember information. "Robert Lanza, one of the most prominent scientists in the field of stem cell biology, on Monday said he will lead global regenerative medicine research at Astellas Pharma Inc., the Japanese drug maker that acquired his Massachusetts company this month. 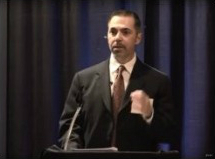 Lanza will also remain in his current role of chief scientific officer at Astellas-owned Ocata Therapeutics Inc., which is developing stem cell therapies for a broad range of diseases." Lanza delivered the opening address to the judges and students at the Official Opening of 2015 MSSEF held at the Massachusetts Institute of Technology. MSSEF was founded by the prestigious American Academy of Arts & Sciences and has advanced science literacy and inspired new generations of science and engineering leaders for over six decades. 400 distinguished scientists and engineers served as judges, providing the year-end competition with over $525,000 in scholarships and prizes. Stem cell breakthrough by Lanza and colleagues was voted the year's top story, beating the Ebola outbreak, climate change crisis, entangled photons, cosmic inflation, as well as the year's other science stories ranging from topics in space exploration to mathematics, technology, paleontology, and the environment. "For a nice two decades scientists have dreamt about using human embryonic stem cells to treat diseases … that day has finally come…scientists have used human embryonic stem cells to successfully treat patients suffering from severe vision loss"
"In a report published in the journal Lancet, scientists led by Dr. Robert Lanza, chief scientific officer at Advanced Cell Technology, provide the first evidence that stem cells from human embryos can be a safe and effective source of therapies for two types of eye diseases"
"Advancement Could Lead to Treatment for Alzheimer's, Heart Disease"
"After years of failed attempts, researchers have finally generated stem cells from adults using the same cloning technique that produced Dolly the sheep in 1996. The process could provide a new way for scientists to generate healthy replacements for diseased or damaged cells in patients"
"First Embryonic Stem Cells Cloned From A Man's Skin"
"Since my 20s, I haven't had to deal with the distractions that come from being able bodied. I've led a life of the mind. Stem cells may give you that same freedom, allowing you to pursue your wildest dreams without ever having to worry about the limitations of your body." "Dr. Robert Lanza is one of the pioneers of stem cell therapies. He is already using them to help patients regenerate damaged body parts." Premiere: Science Channel special, Stem Cell Universe with Stephen Hawking, Feb. 3 at 10/9c. Dr. Lanza received this year's prestigious Il Leone di San Marco award in Medicine (along with Regis Philbin, who received the award in Entertainment). For 34 years, the Italian Heritage and Culture Committee has acknowledged outstanding Americans in fields such as the Performing Arts, Entertainment, Medicine, Journalism, Literature, Playwriting, Government, Science, Academia or Business. Past honorees have included Stanley Tucci, Paul Giamatti, Paul Sorvino, Danny Aiello, Armand Assante, Tony Danza, Susan Lucci, Dion DiMucci, Phil Ramone, Bart Giamatti, and Rudy Giuliani. Dr. Lanza was one of four people who received this year's Il Leone di San Marco Award for their "many talents and great accomplishments" who represent the best in Italian-American culture. Robert Lanza has racked up a slew of scientific accolades for his pioneering work on cloning and stem cells. And then there's the private island stocked with dinosaur fossils, the Good Will Hunting comparisons … and his "theory of everything." Sixteen miles outside Boston, in the back corner of an unfinished basement, a teenage boy lowers his syringe to a chicken egg and takes aim. 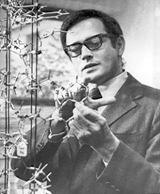 It's 1969 and this is Robert Lanza's first time experimenting with embryos. He isn't yet a well-known scientist. He hasn't achieved all those cloning and stem-cell firsts, hasn't been called genius or renegade. He doesn't wave to worry about being killed on his way to work. Journalists haven't come up with the "real-life Good Will Hunting" analogy or suggested that he open his own Jurassic Park. He hasn't worked with B.F. Skinner and Jonas Salk, hasn't told off the former dean of Penn's medical school. He doesn't have a private 10-acre island and a house filled with dinosaur bones. That will all come later. Today he's still just a kid, and he wants to win the school science fair. … Robby, the scrawny kid from Stoughton, Massachusetts, will become Bob Lanza—one of the most prominent and controversial figures in his field. Top U.S. scientists hang their lab coats for stem cell research fundraising efforts. The 2011 “CELLebrity” Doctors Calendar spotlights twelve highly renowned doctors in the U.S. and details the progress that has been made in their prospective medical fields. NOTE: All proceeds from calendar sales benefit SCF and will be earmarked towards funding stem cell research in the United States. New breakthroughs in stem cells and tissue engineering are the key to extending life. Can humankind reverse the tide of extinction? This video includes biographical material on Lanza. It’s an experimental breakthrough for macular degeneration. How embryonic stem cells helped two blind people see again. 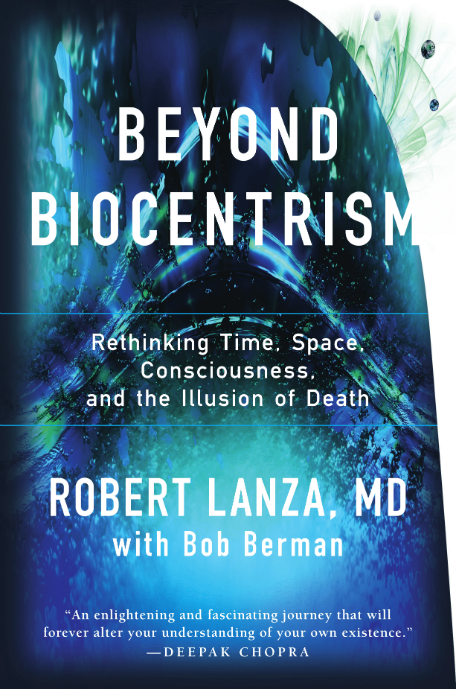 Robert Lanza's talk on biocentrism at the Science & Nonduality Conference. Stem Cell Eye Therapy Shows Promise: The study in The Lancet is the first published report on embryonic stem cell use in humans. “This is the first time an embryonic stem cell therapy has been approved in Europe,” said Lanza. “The initiation of these two clinical trials marks an important turning point for the field.” said Robert Lanza, the company’s chief scientific officer. Lanza’s dream of turning human embryonic stem cells into therapies for the sick and the suffering is taking a huge step closer to reality. There are More Articles in this Section. Click Here To See them all. Federal officials have approved the start of human embryonic stem cell treatment experiments on patients suffering a leading cause of vision loss. For only the second time, the Food and Drug Administration approved a company’s request to test an embryonic stem cell-based therapy on human patients. The U.S. Food and Drug Administration has approved the second human trial of human embryonic stem cells — this one testing cells in people with a progressive form of blindness. An American biotech company has just announced that it has been licensed to begin human trials of a stem cell treatment for blindness. Government regulators have given the go-ahead to a second study that will for the first time carefully test a treatment created using human embryonic stem cells in people, according to the company sponsoring the experiment. Federal officials have cleared a second clinical trial of a human embryonic stem-cell treatment, a company announced Monday, for a progressive blindness syndrome affecting young people. NEW YORK (AP) – For only the second time, the U.S. government has approved a test in people of a treatment using embryonic stem cells – this time for a rare disease that causes serious vision loss. An interview with the author of Biocentrism, a book that Nyogen Roshi (the last authorized disciple of Taizan Maezumi Roshi, the foremost Zen master of the twentieth century) describes as mirroring his experiences in the practice of zazen as closely as anything he has encountered in a modern writer. Foreword by President Jimmy Carter. 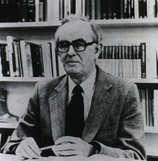 Includes the last works of Carl Sagan and Jonas Salk, and contributions by Director-General of UNESCO, UN High Commissioner for Refugees, President of the European Parliament, Director-General of the World Health Organization, and the Ministers of Health from the United Kingdom, France, Japan, India and Russia, among others. Conclusion by Boutros Boutros-Ghali, the Secretary-General of the United Nations. Robert Lanza and Kwang-Soo Kim of Harvard University have won a National Institutes of Health (NIH) Director’s Opportunity Award for research in “Translating Basic Science Discoveries into New and Better Treatments” under the American Recovery & Reinvestment Act of 2009. Evidence suggests death isn’t the end. Many years ago, as a young boy, I persuaded myself to make an immense journey.